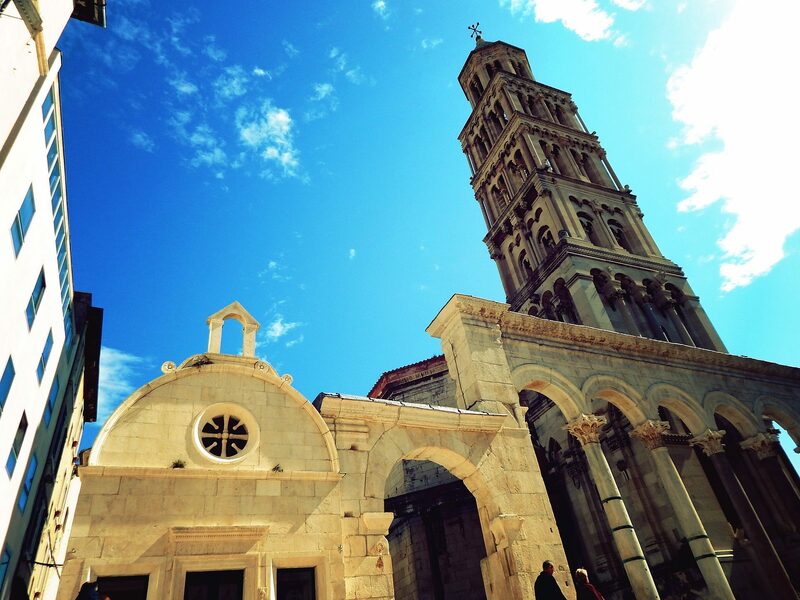 If you want to explore Croatia, Split is an unavoidable destination on your itinerary. In addition to its natural beauty and historical importance, this city offers you a complete range of entertainment and cultural-artistic activities to explore and enjoy. 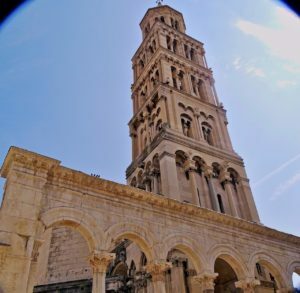 Here are 10 of the top things to do in Split. Sudamja, or fjera of St. Duje, is held on May 7 and is a celebration of St Domnius, patron of the city. There are various celebrations taking place and many people come together to celebrate this historic day. This traditional day is followed by a festival that offers various events, concerts, exhibitions, fairs and raffle on the main promenade for up to two weeks. Mediterranean Film Festival takes place in Split and is held early June for a week. It is showing films from the Mediterranean region, and there are often regional and Croatian premieres. Most of them are not found in regular cinema distribution. Picigin is a sport that was conceived in Split on the beach Bacvice. Players stand in shallow water and hit the ball, trying to avoid it falling into the sea. Since 2005, the world championship has chosen the winners by the overall artistic impressions of the team. 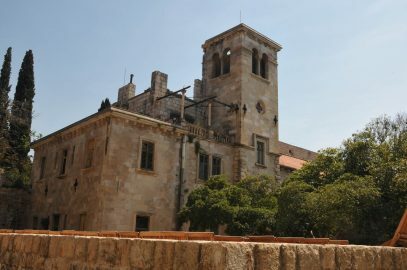 This event, which lasts from June to September, is a collection of events and activities throughout Split. 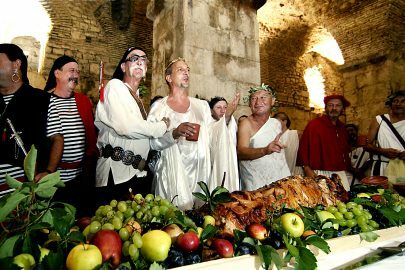 There are street entertainers, classical concerts in the Diocletian cellars, musical performers on the Riva and The Days of Diocletian, which is a celebration in September of Split’s Roman history. There are historical performances, food and wine tasting, parades and much more on offer to transport you back to the days of the Romans. A traditional folk festival that is held in of one of the oldest city districts and takes place during June, The Day’s of Radunica is an event that has been held for more than two decades. During the festival there is an assortment of activities to partake in such as cards tournaments, sports competitions, singing groups, poetry readings, bingo and it all ends with an excellent party, bringing together many Dalmatian specialities. 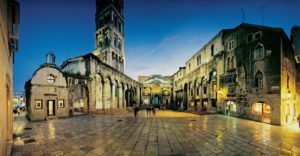 Split’s Summer Festival is an art festival that started in 1954 and takes place in the old town, with a long tradition of classical performing arts such as opera, plays, ballet, and musical concerts. Throughout the festival, you will also find jazz concerts, film shows, exhibitions, performances and street theatre. A global extravaganza, this electronic music festival is classified as one of the best in the world. You can see the performances of the most famous DJs performing in front of tens of thousands of clubbers from around the world. Three days in mid-July the whole of Split is a disco! Festival celebrates the patron saint of the town of Stobrec St. Lawrence, on the 10th of August. If you visit it then you can enjoy the concerts that take place, fishing nights with free fish and wine, football and volleyball on the sand, mini swimming marathons, tennis, golf, and a traditional chess tournament.